Our technicians are ASE Certified & have 30+ years experience each. 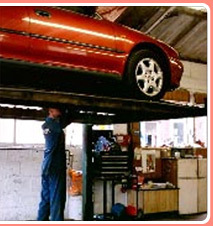 Tech Auto Service, Inc., a locally owned & operated automotive service & repair business. We have been a part of Pflugerville since 1990, offering service & repair for your personal & fleet vehicles with honesty and integrity. We are committed to our customers’ satisfaction! Your recommendation is our best advertisement!